Track your custom chartering process as your colonies advance through the stages. GreekTrack saves time at every stage of your chartering process. GreekTrack watches your database of active alumni and interested students. Once there's a match near a university without a chapter we'll alert your staff! Setup each stage of your unique chartering process as well as the steps required to advance stages. Colonies will be able to log their progress for you to see in real time. Log notes, calls, and meetings you have with students, alumni, or university staff as you help your colonies reach their charting goal. 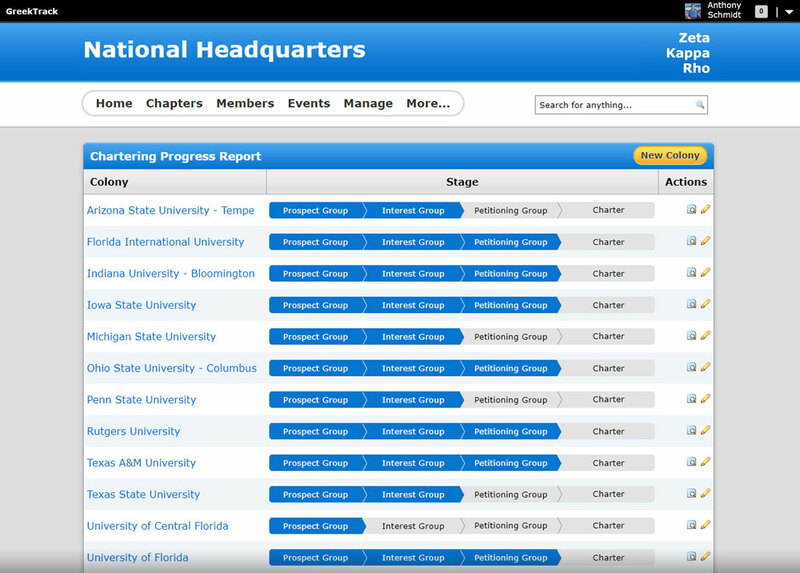 With GreekTrack each colony will get their own website to manage their local membership. From your dashboard you can watch as colonies recruit new members and assign leadership positions. You're able to upload resources and assign them to the different stages of the chartering process to ensure colonies have the right resources at the right time. Collect chartering fees directly through GreekTrack allowing colonies to pay with credit or debit cards or even through ACH bank transfers. 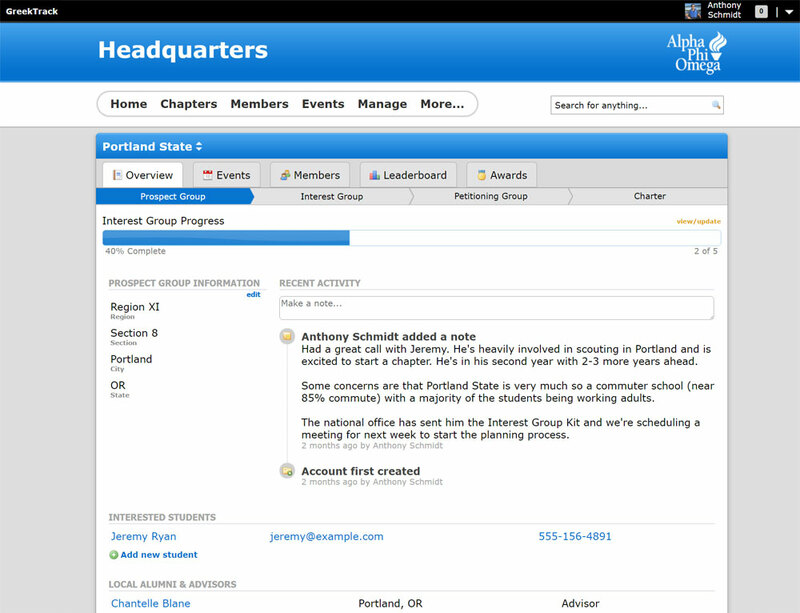 Similar to a CRM system for your colonies: Support staff are kept on the same page logging notes, meetings, and phone calls of each interaction with students, alumni, and university staff along the way. Let's have a quick chat to see how GreekTrack can support your organization.